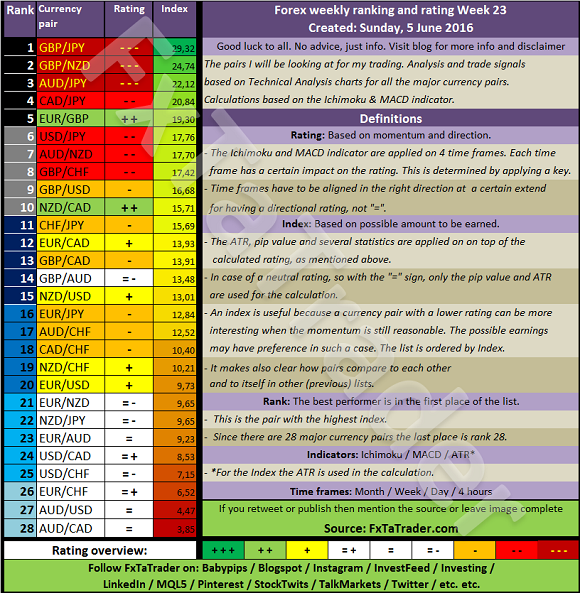 When looking at the Top 10 in the Weekly Ranking and Rating list we can see that for the coming week the following stronger currencies are well represented for going long: JPY(4X) followed by the NZD(3X). 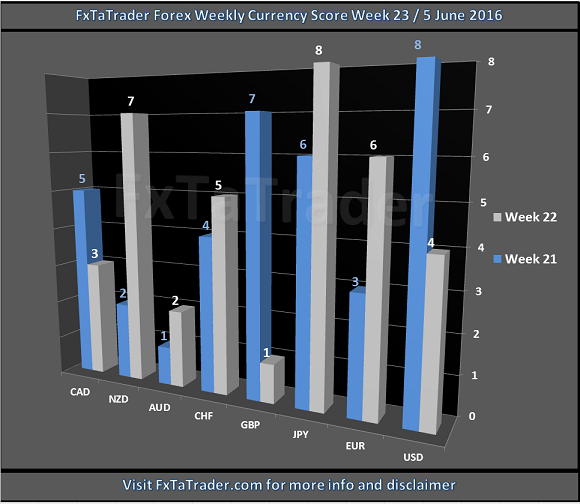 The weaker currencies are the GBP(5X) followed by the AUD(2X), USD(2X) and the CAD(2X). When comparing the 3 months Currency Classification with the recent Currency Score, as provided in the image above, we can determine the deviations. In the article "Forex Strength and Comparison" this is analyzed in more detail. Currencies with a high deviation seem less interesting to trade because they are less predictable. These currencies are at the moment e.g. the NZD and the CAD. Unless these currencies offer a clear opportunity based on the longer term they are avoided.